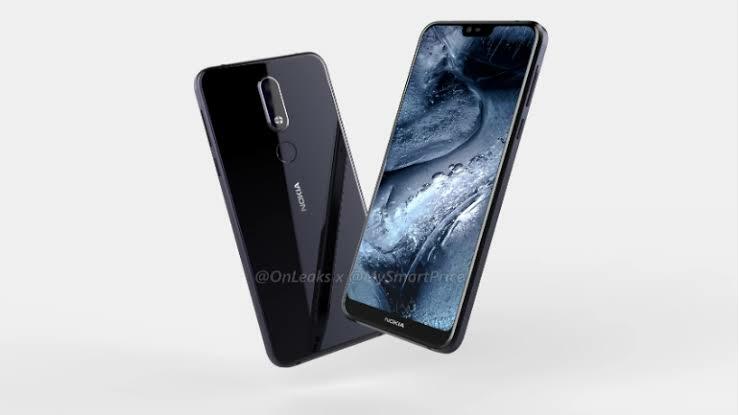 Nokia 7.1 has a 5.84 inch display screen and its size is the same as that of iPhone XS. You can reach the top of this phone without any problem. Nokia decided to do what other manufacturers in the industry are doing. When you look at these phone there is a notch at the top of the screen. It also has an edge to edge screen design. The bezels at the bottom are slimmed down. 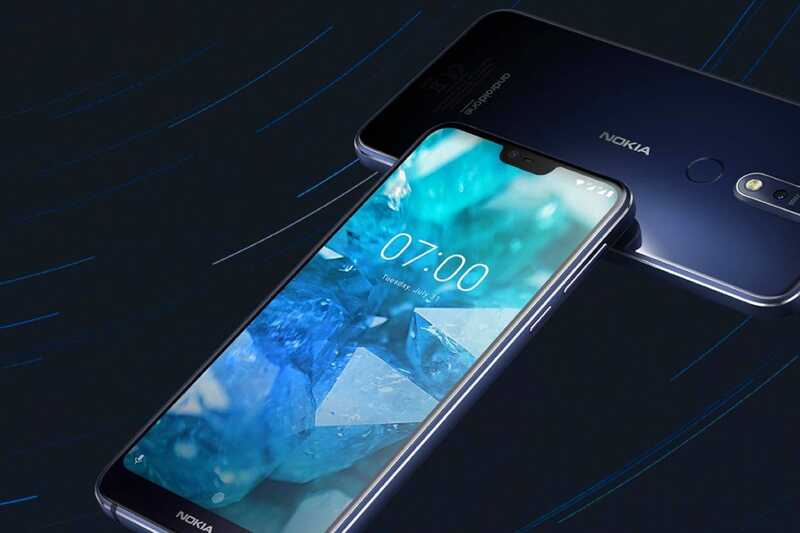 Nokia 7.1 has a 5.84 inch display screen and its size is the same as that of iPhone XS. You can reach the top of this phone without any problem. This phone has an aspect ratio of 19:9 and that basically means this phone is narrow. It's easier to hold and use this phone with just one hand. 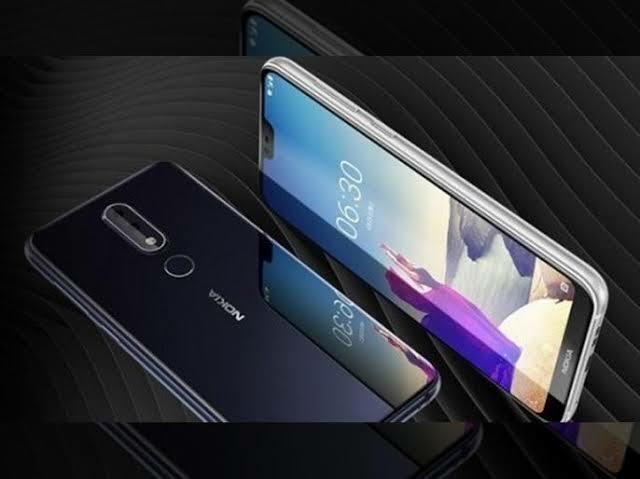 Nokia 7.1 has an LCD screen and a picture resolution of 2,280 x 1,080. The pictures look colorful and bright. The black levels are deep. Something awesome about this phone is that it supports HDR10. this feature is mostly found on premium phones like Samsung Galaxy S9. Since HDR10 is supported you can get more color support when watching through apps like Netflix and YouTube. The screen on this phone has the ability to convert any Standard Definition (SD) into HDR. nokia 7.1 has proved itself as an excellent device for watching movies and shows from different apps. There is a 3.5mm headphone jack which you can plug your headphone and listen to music. Gorilla Glass 3 protects the front of this screen. When you check the back of this phone HMD decided to also use a glass. The glass has been termed a 'toughened' glass. The glass makes this phone to look slick. Some consumers would have loved if the back of the phone was made of metal instead of glass. Metal is more durable than glass. The glass back of this phone is constantly covered with fingerprint smudges. When it comes to wireless charging it is not supported on this phone. The glass is just for design and aesthetics. It doesn't help in wireless charging. When you check the back of this phone you will find a fingerprint sensor just below the camera. The build on this phone is quite impressive and superb. The frame on this phone is aluminum. The edges on this phone slope towards the screen and to the rear. The phone stands out because of the colors used for the edges and the frame. The copper accents used on this phone makes the phone look superb. There is a midnight blue color with silver accents at the edges. There are no rough edges when you are handling this phone because of the curved glass at the front and at the back. Nokia 7.1 comes powered by Qualcomm Snapdragon 636 processor. This isn't the latest processor but it does its job perfectly. There are two models. You can buy the 4GB RAM and 64GB ROM model or you can purchase the 3GB RAM and the 32GB ROM model. Nokia 7.1 has a mircoSD slot thus you can expand the internal memory if you wish. Snapdragon 636 was also used on Moto Z3 Play and the performance of that chip didn't disappoint. Moto Z3 was selling at just $450. With Nokia 7.1 you will get value for your money. While using this phone moving from one app to another is quite seamless. The operating system is quite fast and easy. There is no lag or delay in opening apps. This phone can handle intensive games and also multitasking. Nokia 7.1 runs on Android Oreo but HMD Global has promised that this phone will be upgraded to Android Pie before 30th November. Something that has helped the performance on this phone is that it also runs on Android One. This is also known as stock Android. This means you won't get any bloatware. Something good about Nokia is that it gets fast updates. With Android One you will get monthly security updates for a period of three years and there will be version updates for a period of two years. The update to Android Pie will be faster than what other manufacturers do. This is quite impressive. When it comes to the software there is nothing new added. There is a feature called the Adaptive Display which helps in detecting different environments that you are in and it will always adjust the screen's tone and brightness. This feature was popular on Android Pie but it can now be found on Android Oreo. Nokia 7.1 comes with a battery capacity of just 3,060mAh. With this battery you will get a full day of use. At the bottom of this phone there is a USB type-C charging port. Nokia 7.1 supports fast charging and HMD claims that within 30mins you can get 50% of charge. At the back of this phone you will find two cameras. Nokia 7.1 uses Zeiss optics. The primary lens has a 12 megapixel lens with an aperture of f/1.8 while the second camera has a 5 megapixel lens. The shutter speed on this phone is quite fast. There is a new feature called "Bothie" which enables you to take pictures or videos using both the front and back camera. You can easily adjust how much each camera will capture. This feature has been present in some other phones. There is also a bokeh mode which is equivalent to Potrait mode. Bokeh mode on this phone does a pretty awesome job. The intensity of the blur can always be changed depending on how you want it. When it comes to the front facing camera you will find the bokeh mode. The front facing camers has an 8 megapixel camera. Nokia 7.1 has a wide aperture on the rear camera which allows you to take better pics in low light. Most budget phones perform poorly when it comes to taking pics in low light. Nokia 7.1 is really cheap. You will get this phone at just $349. This phone will be available in all major stores from November 4th. There are no faults in this phone. Nokia 6.1 topped the list of the best budget phone and it was selling at $300. Nokia 7.1 is slowly becoming the best budget phone of 2018.